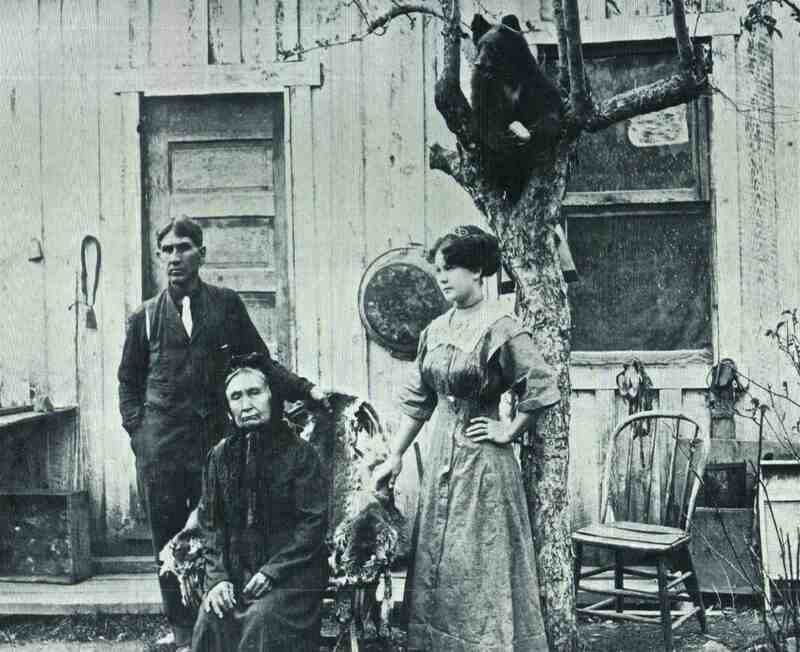 This shot from the History of Pierce County shows pioneer George Dean, his mother Rose and Daisy Dean (Daisy is Eveyln Guske’s mom). George Dean purchased 160 acres in 1890 near Kreger Lake. From the sounds of it, Rose had some strong opinions and she and Daisy didn’t get along (Per Firm Foundation) and this pictures seems to confirm it. The bear is actually a stuffed bear. Look closely and see the wooden square just below where the feet would be behind the tree. 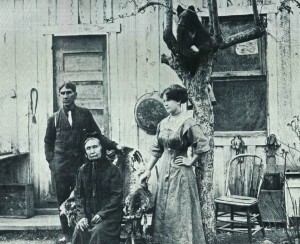 If I could load a picture, I have the same bear posing with Clara Jensen’s two little girls. I will email it to the editor. I have an original copy from Mrs. Martha O’Neil (George Dean’s niece). That they have a stuffed cub around is even kind of weirder. 🙂 Thanks for the clarification.